“We are excited to be moving forward with the third WFDF World Team Disc Golf Championships and really thrilled to have such an experienced and enthusiastic Tournament Organizing Committee out of fast-growing Estonia,” said WFDF President Robert “Nob” Rauch. The event will be overseen by WFDF’s Disc Golf Committee led by Chair Charlie Mead, and it is fully supported by the Professional Disc Golf Association, which will work closely together in preparing the format and schedule for the event. There will be two courses available at WTDGC should there be more than 24 team entries. Each country may send up to 12 players, and each team for each round will consist of six players. 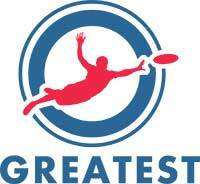 The format for all games will be either singles or doubles matchplay. The seeding will be based on the WFDF World Disc Golf Rankings, where the current leaderis the USA, followed by Canada,New Zealand, Finland, and Estonia(see rankings at http://www.wfdf.org/history-stats/world-rankings/842). 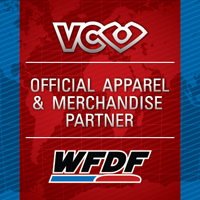 The WTDGC is the premier Disc Golf event for WFDF and the 2019 edition of this biennial event will look to build on the success of past championships held in Colchester, UK and Vancouver, Canada. In August 2017, the WFDF World Disc Golf Team Champions were Team Canada, with Finland taking the silver medal and New Zealand with bronze in the 10-country field.